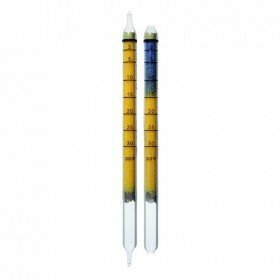 These short-term detection tubes are suitable for measuring Ammonia (NH3) gas. They have a measurement range of 2 to 30 ppm and have a shelf life of 2 years. Please note that one pack contains 10 tubes. Other basic substances such as organic amines are indicated as well.